Count the ways Extra Care Protection enhances your driving experience. 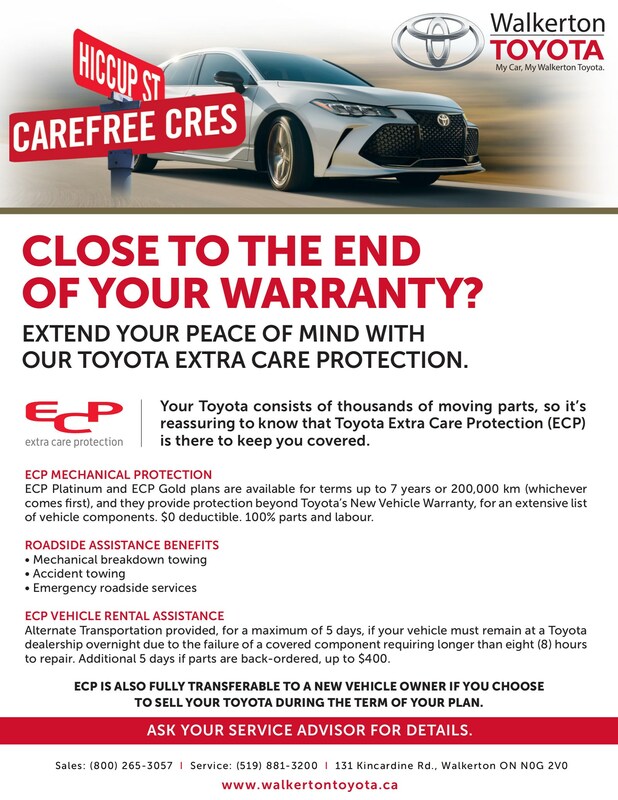 With Extra Care Protection, your new Toyota has inflation-protected coverage from unexpected mechanical failure, road emergencies and much more. It is the affordable and cost effective way to guarantee your peace of mind and to protect your investment whether you buy or lease. 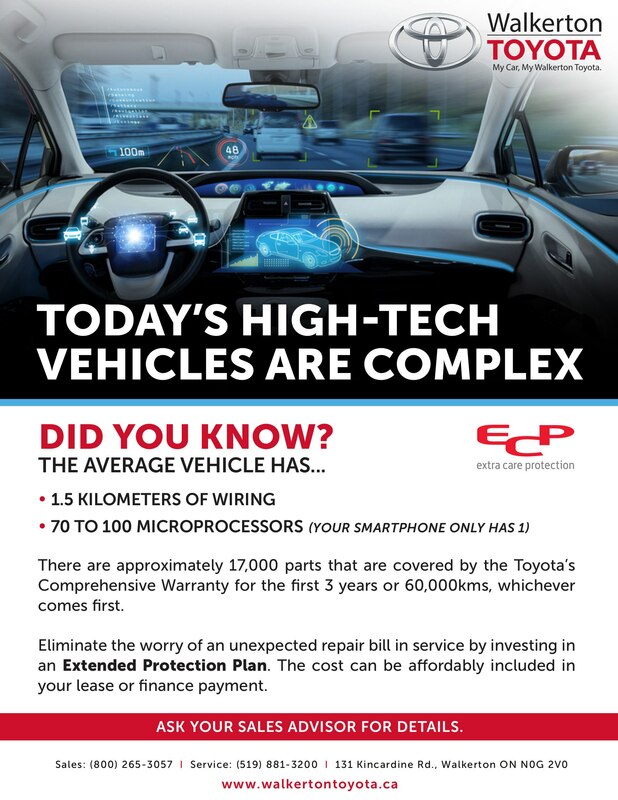 ECP will enhance the quality experience of owning your new Toyota while helping to provide enhanced resale value in the future. Your choice of terms, with a wide range of kilometer limits to suit your driving needs, and service from over 1500 Toyota dealers across North America.